The Galápagos islands are known for their diverse wildlife, studied by Charles Darwin on his trip around the world. Every year, many people visit the archipelago to get a glimpse of the giant turtoises, penguins or unique bird species… but also to send and pick up mail! It all started a couple of centuries ago, back when the island was regularly visited by whaling ships. The ships stayed at sea for long stretches of time, often years, and so communication between the fishermen and their families was difficult. 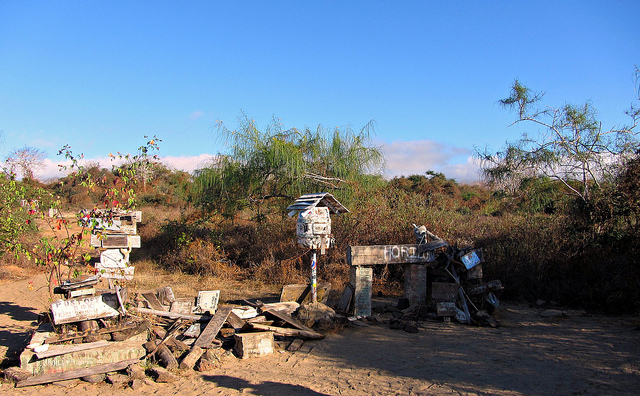 To solve this problem, in 1793, Captain James Colnett established a post office of sorts in Floreana island — a simple wooden barrel where mail could be left to be picked by other visitors. Ships often stopped on Floreana island to do repair works or pick up water and food, so sailors started taking the mail which was destined to their home ports with them, hand-delivering the missives to their intended recipients by hand. Photo by claudiah on Flickr. 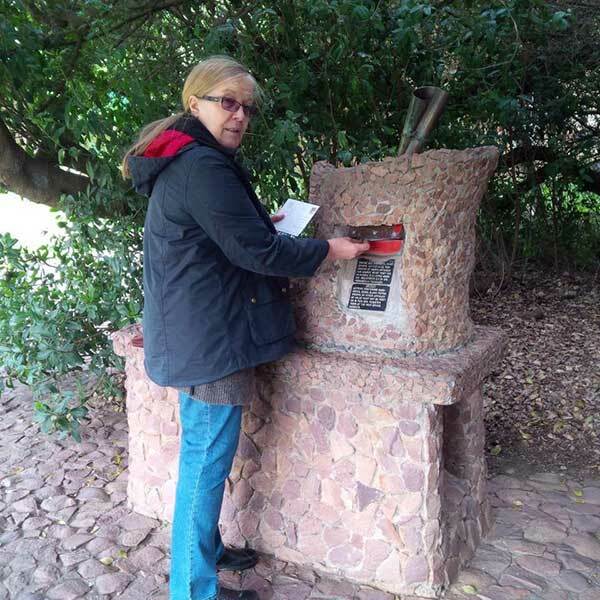 Did you know that the oldest (unofficial) post box in South Africa is not an actual box… but a tree? It’s true! 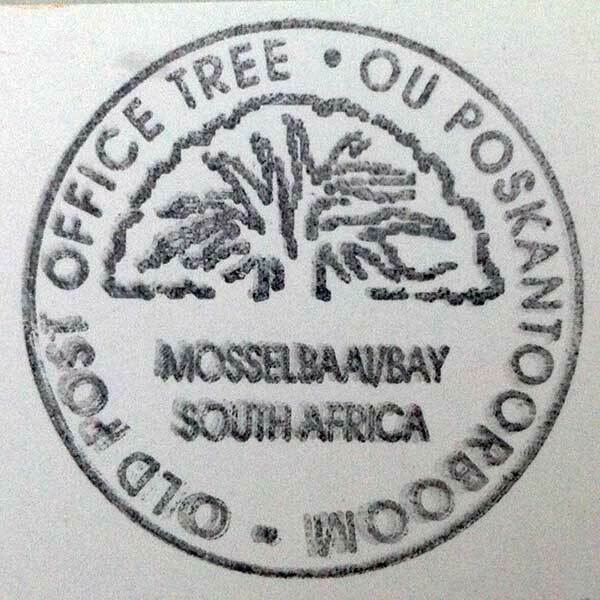 In 1500, Pêro de Ataíde, captain of a Portuguese ship returning from the East, left a letter under a tree in Mossel Bay. The letter detailed the loss of some of the ships on their fleet and warned of troubles in the eastern seas. It was customary for passing ships to stop on the bay to take on food and fresh water, and so some years later, the letter was discovered and delivered to Portugal by another sea captain. This was the start of the South African postal service, as seamen often left correspondence there, in the hopes of it being delivered by passing ships. 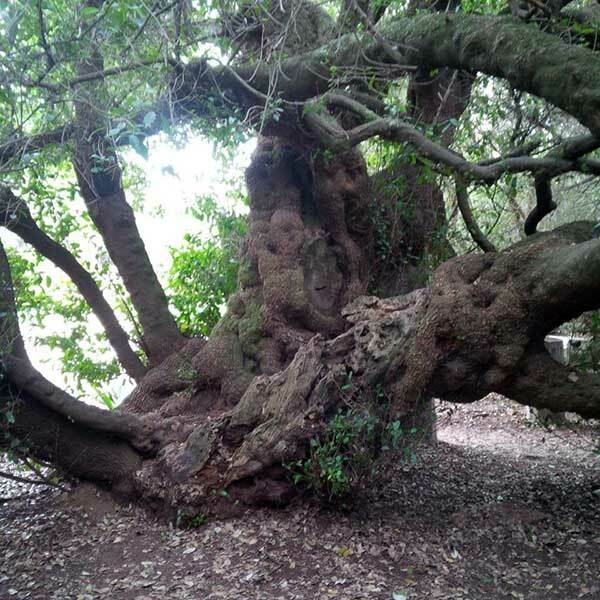 The impressive milkwood tree is said to be over 600 years old, and still stands there overlooking the bay. It has been declared a national monument, and a postbox was set up under it with its own special cancellation mark and everything! The postbox sits on what is now the Bartolomeu Dias Museum complex. A big thank you to Cathy, the South African member who pointed out this tree for us and took the nice photos above. That is her auntie Chris on the left, mailing a postcard home! By now most of you have probably noticed the small variations in address formats in different countries. But did you know that some of these are actually rooted in distinct perceptions of space? This short video we found on youtube explains this concept, and a few other cultural differences. Never thought about visiting the island nation of Vanuatu? Then here’s a good reason for you to consider: they have the first (and only?) underwater post office in the world! We bet you never thought it was possible to post mail underwater, have you? The Vanuatu Post came up with this idea to increase awareness of the richness and diversity of Vanuatu’s underwater world. And if you never had the chance of finding nemo in real life, then that’s yet another reason to think about Vanuatu for holidays, where you can do snorkeling and see the great aquatic life there is there. Since its start in 2003, they have received over 100.000 visitors so it surely seems to be working well. Waterproof postcards are available and they use a special embossed cancellation stamp that can be used underwater. Postcards can be sent anywhere in the world, so it’s perfect! A postcard has been delivered by Britain’s Royal Mail 79 years after it was sent. The picture postcard was sent in 1929 from Burnham-on-Crouch, Essex, and intended for Mr and Mrs Richardson in East Dulwich, London. However it was not delivered until a week ago when it finally dropped through the letter box of Arthur Davies and June Nicolopoulos after a delay of nearly eight decades. Mr Davies, 59, a construction manager, said: “I’ve heard of delays but this takes some beating – I reckon it’s been under a skirting board at a Royal Mail building all this time. ”It’s amazing that Royal Mail even delivered it at all after all these years." The postcard arrived inside a Royal Mail envelope with a sticker reading, “we are sorry that this item has been damaged/delayed in the post”. From an article on The West Australian, click to continue reading.